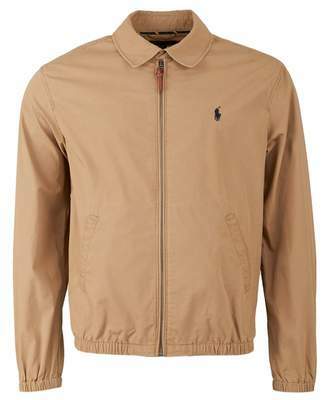 The Polo Ralph Lauren Cotton Twill Jacket is a sophisticated piece to layer with your new season wardrobe. Constructed with a button fastening throat strap, embroidered Polo Ralph Lauren branding to the chest, angled welt pockets to the waist and finished with elasticated trims. 100% cotton Classic collar Button fastening throat strap Zip fastening Embroidered branding to chest Angled welt pockets to waist Long sleeves Elasticated cuffs & hem Machine wash Size and Fit Size photographed: medium Pit to pit: 22"